Senate Education Committee chair Ann Cummings (D-Washington) explains a compromise school spending cap to the Senate on Thursday. Vermont lawmakers appear to have resolved a showdown over school spending caps just in time for local school boards to send next year’s budgets to the printers. The Senate voted late Thursday afternoon for a compromise plan, and the House is expected to follow suit on Friday morning. The two chambers were at odds over how to fix a school spending cap they enacted last year but that ended up hitting some low-spending districts harder than higher-spenders. The Senate wanted to ditch the caps. The House wanted some spending control in place. The deal reached Thursday raises the cap by 0.9 percent for 2017, as the House wanted, but exempts districts that spend below the state per-pupil average from any penalties for going over the cap. Penalties for others that go over the limit will be 40 cents for every $1 over, instead of 25 cents as the House had sought. The plan repeals these caps for 2018, though House Education Committee chair David Sharpe (D-Bristol) said he's committed to crafting some sort of new cost controls for 2018 before the session ends in May. 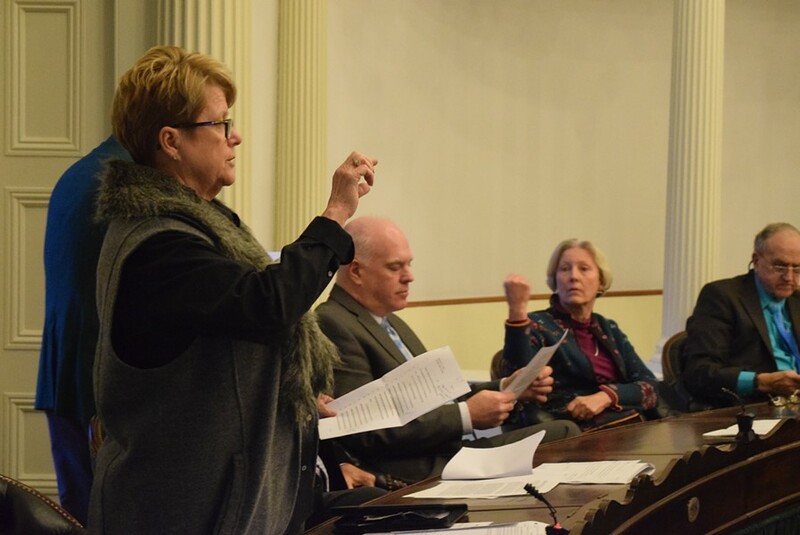 Lawmakers are still likely to get an earful at town meetings in March about how they left local school boards hanging, but the deal gives school boards some clarity as they pitch their budgets to voters. "We would at least like to let all the schools know what the rules are," said Senate Education Committee chair Ann Cummings (D-Washington).